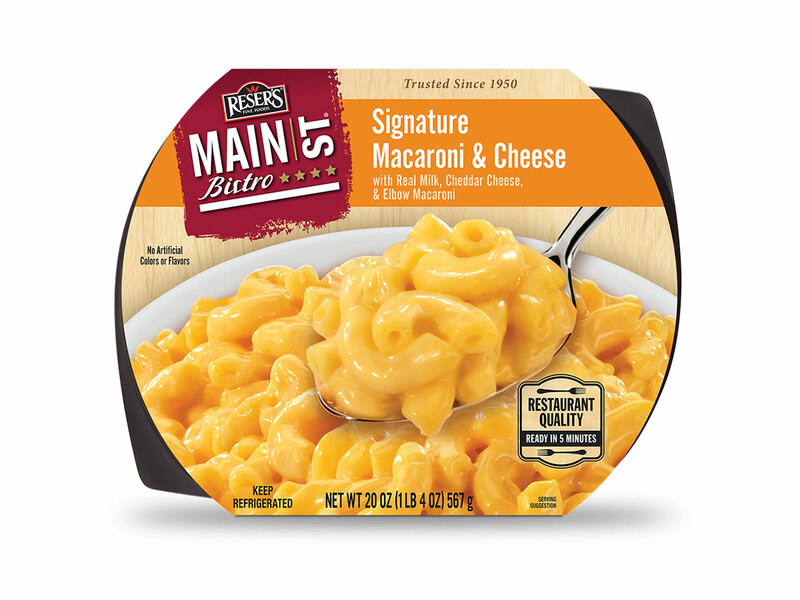 All the things you love about creamy mac and cheese made a little bit sassier with the addition of zesty green chiles and smoky candied bacon. This kicked-up version will definitely have you coming back for seconds! Place bacon slices in a bowl and toss with the brown sugar, salt and pepper. Lay each slice on the lined baking sheet and sprinkle any remaining sugar over the bacon. Bake bacon for about 15 minutes or until golden brown– bacon will “crisp-up” after cooling off a bit so don’t worry if it looks limp. Transfer bacon from baking sheet onto a cutting board and set aside. Partially remove the film from the top of the mac and cheese and stir in green chiles. Replace film and microwave for 3 minutes. Carefully remove the film and stir. Microwave an additional minute or until hot. 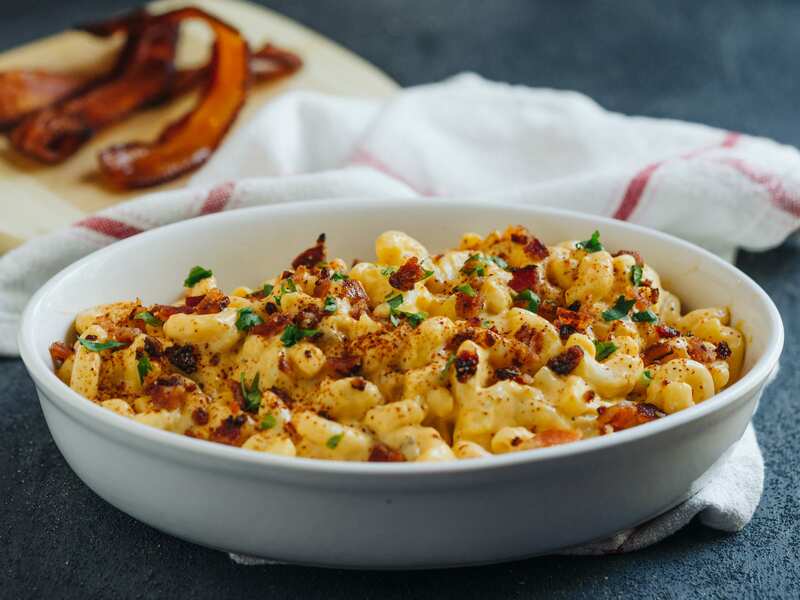 Chop candied bacon into bite-sized pieces and sprinkle over the top of the heated mac and cheese. Serve garnished with fresh cilantro and chipotle chili powder if desired.